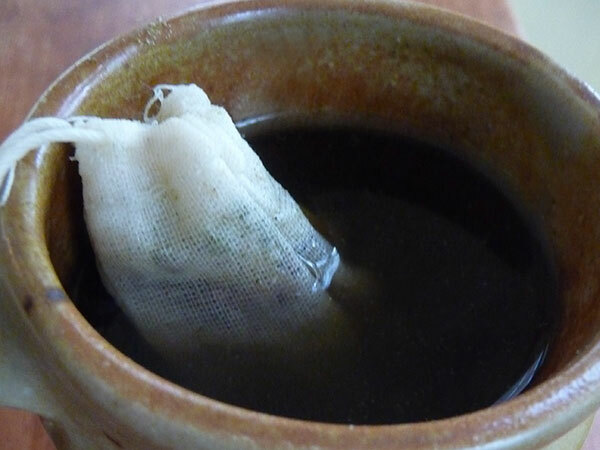 Make Your Own Herbal Tea Bags! 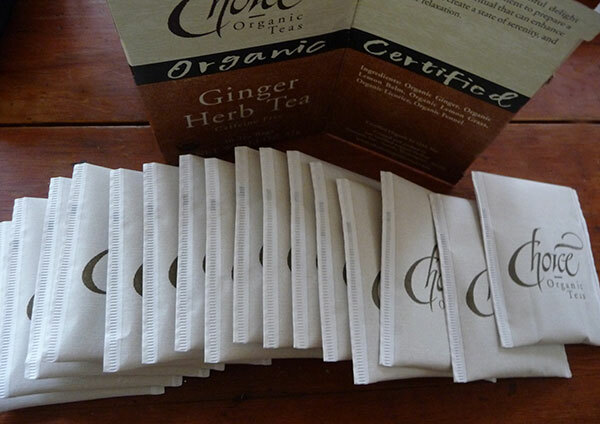 Do you buy boxed herbal tea bags? Yes, it is true, prepackaged herbal teas can be a convenient way to drink your tea, but are they really worth it? I mean, you really get VERY little tea and medicine for your money. From an herbalist's perspective, we know how fun and easy it can be to create your own blend of herbs and spices, customizing your own formulas that can replace most any stored-bought brand of boxed tea. 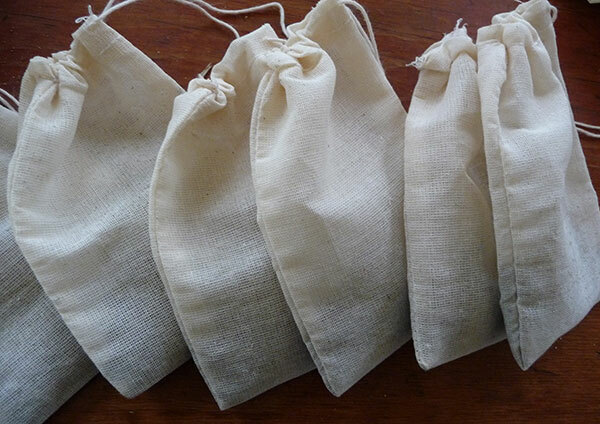 The best part about making your own herbal tea bags is choosing what to put in them. You can decide to recreate ones that you like from your favorite commercial brands or mix your own unique combination of flavors with medicinal, nutritive properties that are specific to your needs. It just takes a little bit of time to gather your materials and prepare your teas ready to be used in a rush. You can make big batches to have on stock, ready to use, or you can store the herbs in a jar and fill the bag when you want a cup of homemade tea. Sometimes we'll make dozens of them and box them up with fancy labels as gifts for my friends and family. 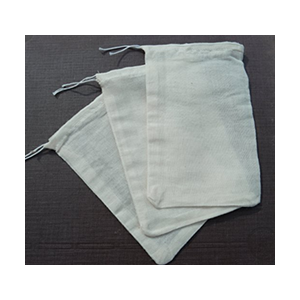 The great thing about cloth tea bags is that you can REUSE them! All you need to do is just clean out your used tea, rinse and dry. 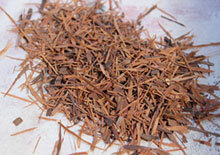 Most herbs can be found in bulk at your local health food store. They may not have all the varieties you are looking for, but you can make up some pretty nice blends that are WAY more fresh and WAY less expensive than boxed tea bags. 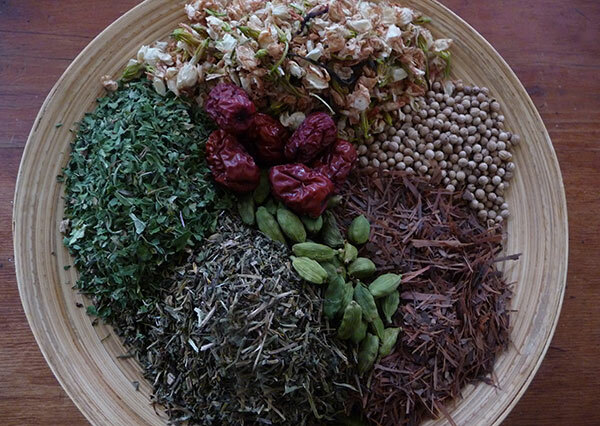 It is good to use herbs that do not require decocting (see herbal tea preparation), but you can actually get some medicinal value out of roots or barks by grinding them up if you absolutely want them in your tea. You can take any of our herbal tea recipes, throw them in a blender until they are ground down small and fine, then place them in your tea bag. This is how they concentrate the tea in tea bags to make it more readily available when infused in hot water. However, packaged tea is a lot of paper but hardly any tea. 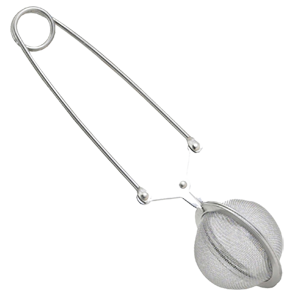 When using tea bags on occasion, we would literally use about 4 times as much to get close to what we use in our own tea recipes. We actually did an experiment and broke down a box of herbal tea. This is the result. 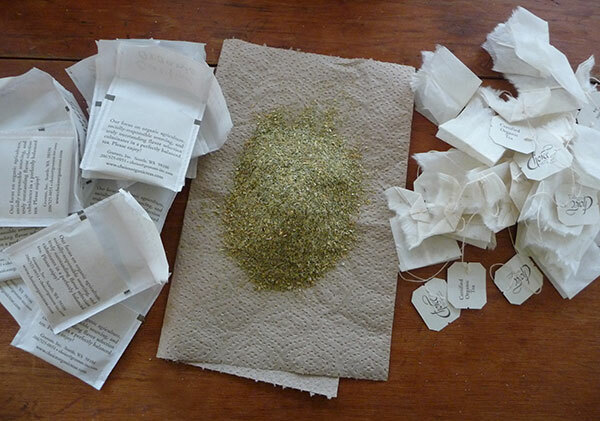 (See pic) Lots of wasted paper and hardly any herbal tea! The total amount I measured was 5T of tea (for the entire box), which was divided up into 16 bags. You do the math. This is incentive enough alone to make your own herbal tea bags. Give this recipe below a try or use your own favorite commercial tea to give you ideas. Here's a nice recipe using the herbs in the picture above. Grind down tea in a blender. Divide 1T or more into each of your cotton tea bags. 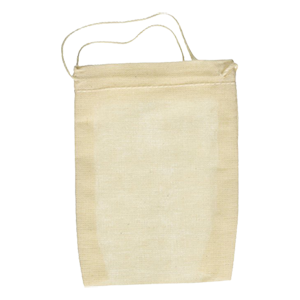 Place the bags in a mason jar and store for later use when you want a cup of tea. 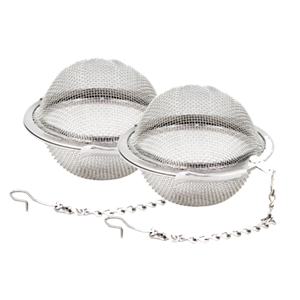 Simply place your tea bag into a cup and steep in hot water. Enjoy your homemade tea bags, expand on herbal themes and have a tea party with family and friends!